I saved the very best for the last day of The Digit-al Dozen does Stamping Week. 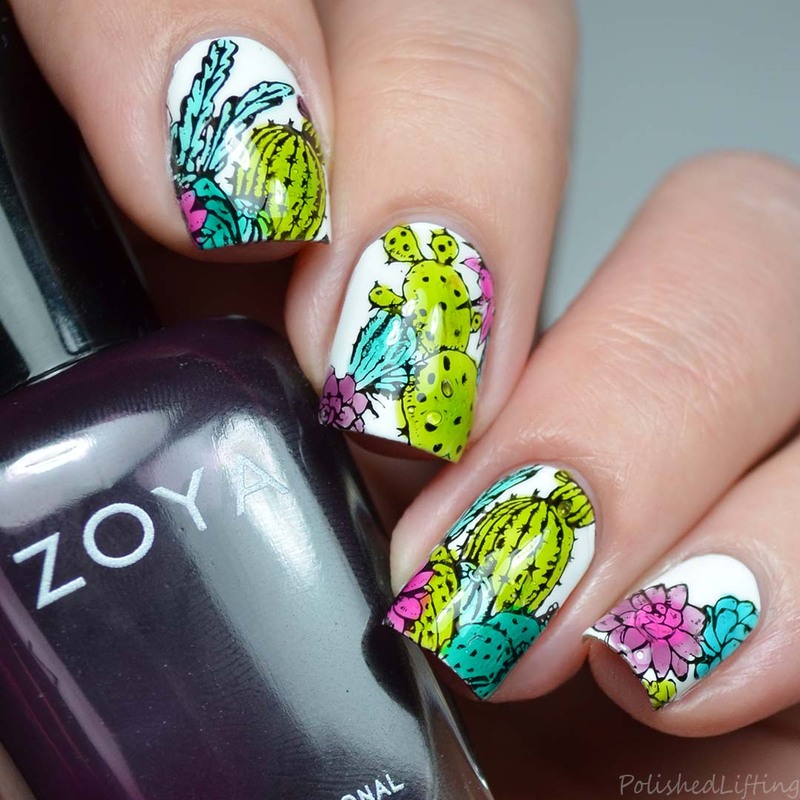 A couple of weekends ago Oksana (The Polished Koi) showed up at my doorstep (well not really, we pre-planned a hang out) and told me I was going to do ledlight cactus nails. 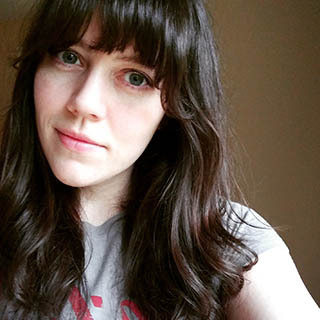 I grumbled a little bit but she convinced me to just go for it, and I'm so glad she did. For this look I started with a Sally Hansen Insta-Dri as my white base. 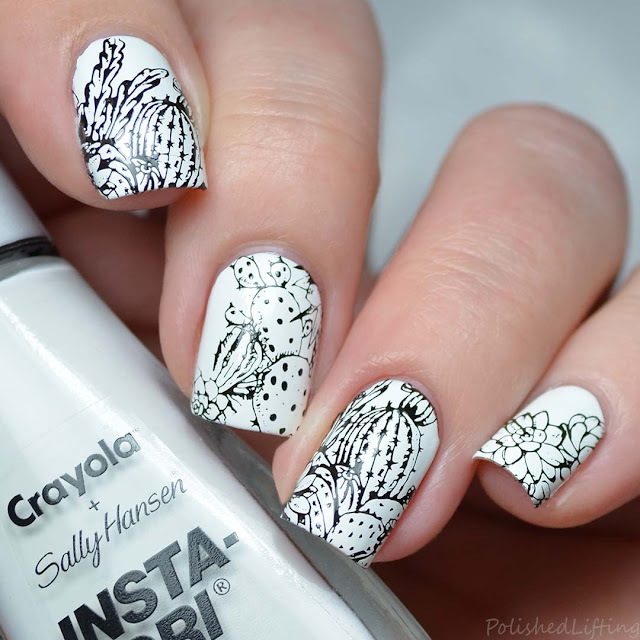 I stamped over it using Bundle Monster Botanicals: Hands Off. Once the stamping had enough time to dry, I filled the images in using jellies Oksana brought over plus two Zoya jellies I had sitting around. I am absolutely thrilled with how this turned out. 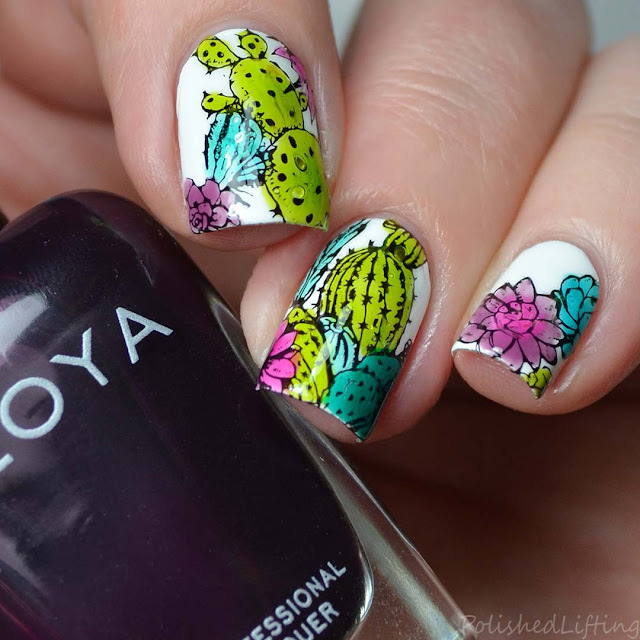 I need to make an assortment of green jellies like Oksana has because the variety of colors was fantastic for this cactus mani. If you don't have a friend (or two) that push you out of your lazy/comfort bubble you need to get one! If you enjoyed this post you might like Digit-al Dozen Stamping Week } Neon Cactus Gradient and Gestural Cactus Mani | Digit-al Dozen Birthday Mani.